If you’re looking for a digital scale, you should have some strict requirements. And rightfully so. Accurate measurements are essential when measuring supplements. The DA-20 digital pocket scale provides reliable measurements, even with very small powders. The DA-20’s sensitivity allows it to measure precise amounts of any supplement down to the 10mg level. Being able to measure supplements at 1mg increments will help you build very precise supplement stacks with confidence. Scale begins weighing at 10mg. 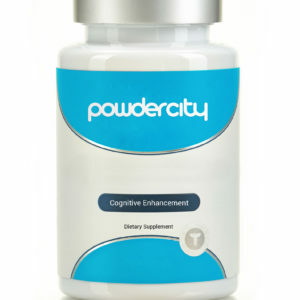 If you’re building a nootropic stack that may require small amounts of specific powders, you want to make sure the components are consistent so your results are consistent. The DA-20 also comes with calibration weights and an air shield. These additions will help ensure your measurements are precise and accurate for each use because even a small draft can impact such a sensitive machine. A scale this sensitive and precise does require some special care. First, make sure you calibrate your scale often to ensure accurate measurements. Second, as this is built specifically for smaller measurements, avoid placing too much weight or pressure (in excess of 500g) on your DA-20 scale. Finally, gently clean the scale after each use to remove any leftover residue. Add another 10 G calibration weight to the weighing platform. In 3-5 more seconds, the screen should display PASS. Your scale is now calibrated. “œI thought for the price I would be taking my chances. I was wrong, this is really a good scale and does everything I need it to do. I fill my own nootropic caps and this can weigh out 13 mg if I was capping Noopept. I see the scale bounce a bit when in the single mg’s but it could be the air current in the room, or a vibration . I don’t care down to the single mg anyhow. I would buy this again. I am glad I chose to buy this one instead of just getting something right away from Amazon.”““ Brian T.
“I work in a lab with a $10k 0.1 mg-level scale, and I could compare the two side-by-side (and probably will someday), but for now a rough visual estimate says the scale is pretty accurate. Not to mention the calibration weights (which look a little rough given what I’m used to). Accuracy is probably /- 5 mg, maybe less. If you want absolute accuracy ( /- 1mg or better) you have to get vibration-isolation table to measure on, which isn’t really necessary for my level of precision. For the price this scale is pretty great.”““ Asher L.
“This scale appears to be quite accurate, and very sensitive. Do note, it only measures 20 grams (plus up to 20 grams tare). My basis of opinion comes from familiarity with an extremely accurate, old-school, diamond scale which is housed in an enclosed case to ensure weighs are not influenced by winds or drafts. With this air current phenomena in mind, I’ve tried gently blowing air towards this scale, and it will measure minute fluctuations just like a diamond scale.”““ Christian S.
“Sorry for my poor english, but i am french. This mg scale is perfect for me. The weight is true and i completely trust in it. The use is very simple, i haven’t needed to read the notice for understanding. It’s light and you can bring it everywhere. I am very satisfied by this small and very practical scale.”““ Isabelle K.